• Provides the ability to mount a variety of 145mm filters and more! Challenging shooting scenarios often call for adding a lens filter to save the shot. However when you're shooting with an Wide Angle or Ultra Wide Angle lens, the bulbous front lens element and lack of threads make it impossible to add filters - until WonderPana. 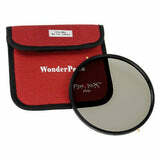 The WonderPana is a complete filter system designed expressly for filtering UWA and WA lenses without vignetting. With a selection of 20+ different custom lens mounts, plus over 25 different filters, there is a perfect creative combination for any photographer or videographer. We offer 145mm round circular polarizer filters, neutral density ND4-1000, and a selection of 6.6" soft and hard edged rotating square gradient filters. 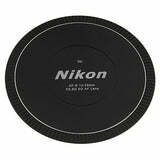 • Great option for attaching a single round filter to your ultra wide angle lens! 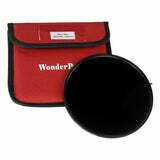 The WonderPana 145 Core Filter Holder is a dedicated holder for attaching 145mm threaded filters and caps to this ultra wide-angle lens that lacks front threads. The holder is also compatible with the optional WonderPana 6.6" Holder Bracket for attaching 6.6"-wide rectangular filters. The 145 Core Filter Holder has a rigid all-metal construction and attaches directly to the lens barrel for a secure fit that does not affect lens performance. Additionally, the holder extends beyond the lens's integrated hood to provide additional protection against bumps and impacts. Included with the holder is a 145mm lens cap and soft pouches for storage. Note: This is not a FreeArc, rotating style WonderPana core unit. • Designed for if you already have either the Lee SW-150 system or the Cokin X-Pro system and want to attach them to other lenses. The WonderPana Absolute kit contains a 150mm filter holder adapter ring for the Lee SW-150 filter system (not included), a 130mm WonderPana Absolute filter holder adapter ring and a filter holder for both the Cokin X-Pro and Fotodiox Pro 130mm filter systems (not included), a 145mm WonderPana Absolute filter adapter ring for 145mm Fotodiox round filters, a lens-dedicated retention ring, plus a 145mm inner-pinch lens cap. The adapter ring for a Lee SW-150 filter holder, as well as the adapter ring for the Cokin X-Pro and Fotodiox Pro 130mm filter holders, securely connect to their compatible filter holders. They each allow for a filter holder's free rotation around the lens to complement the use of LEE SW-150, Cokin X-Pro, or Fotodiox Pro 130mm graduated neutral density or other filters that are enhanced by varied positioning. Compatible filters can be screwed into the filter adapter ring for 145mm Fotodiox round filters. Each adapter ring is designed to help avoid any vignetting. The retention ring and adapter rings within this kit are constructed using aluminum-alloy for durability while remaining lightweight. • The WonderPana you see on this page is custom engineered to fit the Sigma 8-16mm f/4.5-5.6 DC HSM Ultra-Wide Zoom Lens. It will not fit other lenses, so it is very important that you chose the correct Wonderpana Core system for your particular lens model. • This is not a FreeArc, rotating style WonderPana core unit. If used with the WonderPana 66 Upgrade Brackets, you will not be able to finely adjust the horizon line of the 6.6" filters. 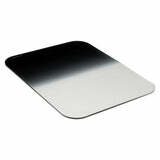 • On most core units, the lens will have to be removed from the camera in order to mount the filter holder. • All pictures are for illustration purposes only. Actual product may vary slightly due to ongoing improvements in design.